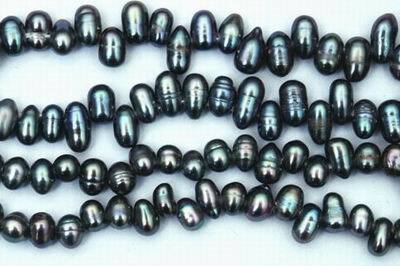 Price is per 15-inch strand of these beautiful top-drilled pearls. Color is an attractive peacock black with slight tinges of gold and green overturnes. Each bead measures 6mm x 4mm, but because top-drill there are more than usual to a strand - about 96 pearls to each strand.